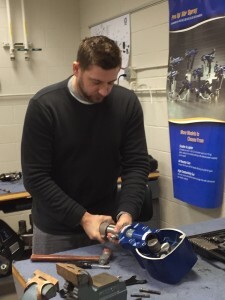 Matthew Frauenhofer, USI National Spray Foam Technician Trainer, completed the Graco Reactor 2 Training this week. 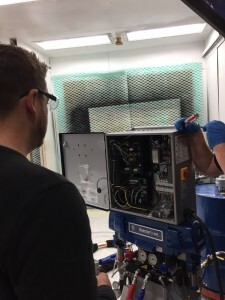 Led by Darrick Grewe, the training took place at Graco’s facility in Minneapolis, MN. Graco supplies USI branches across the country with our Reactors, spray guns, hoses, O-rings, and replacement parts, as well as our airless sprayers for ignition barrier and radiant barrier. 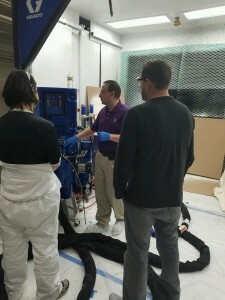 The course included all aspects of Reactor 2, Graco InSite and E10hp. Both sales and service professionals were invited to attend this training event. Since Frauenhofer is responsible for training and service for USI nationally, he can take this training and start implementing it immediately in the field. This type of continuous training helps USI provide high quality, current spray foam installer training on the various products, equipment and technology we use, while upholding our stringent safety standards and those of our suppliers. Frauenhofer completed a validation exercise and level 3 demonstration evaluation at the conclusion of the course today. ← What is whole-building design?